AM is incapable of making an unattractive car these days, and we're fine with that. You might not associate Aston Martin with Le Mans quite as closely as you would, say, Audi or Porsche, but the company has one overall win under its belt (two if you count the 1935 win by Lagonda, which was later acquired by AM), and they have a pretty solid history in GT-class endurance racing. 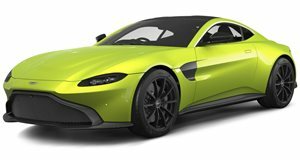 It is this which Aston Martin would like you keep in mind when looking at the V8 Vantage N430, the higher performance version of the smaller Aston. So they've put out a video which really dives the point home. Enjoy.